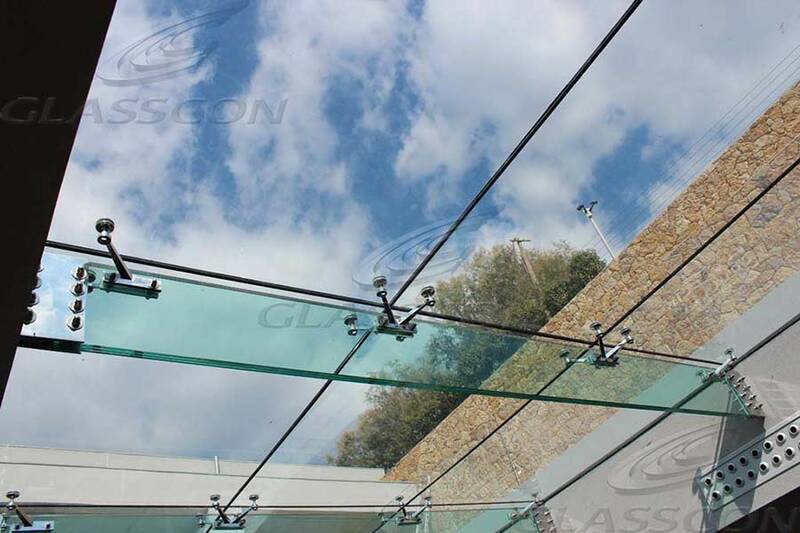 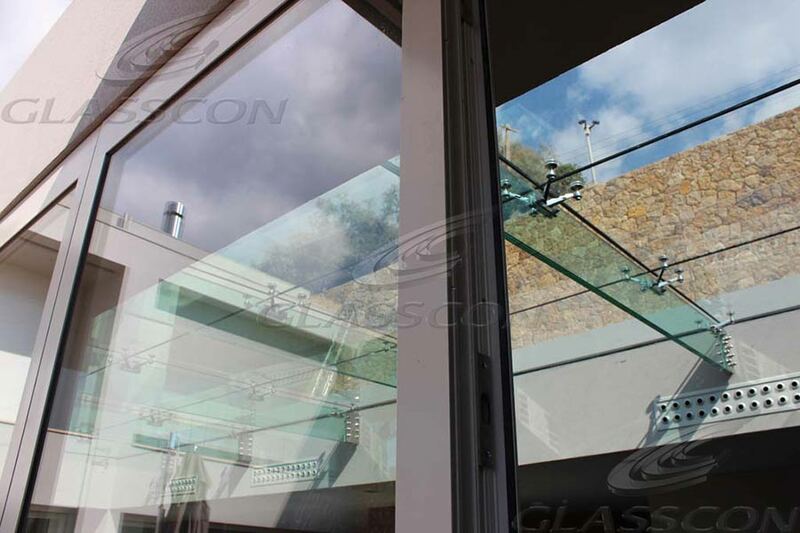 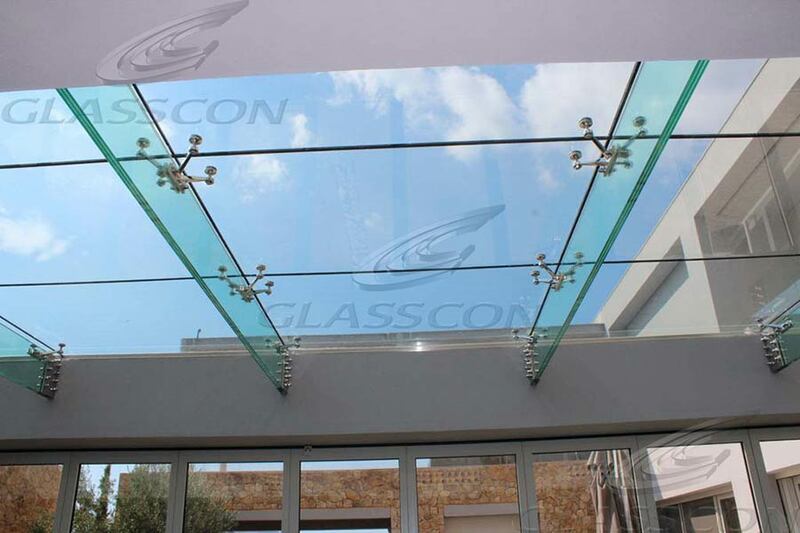 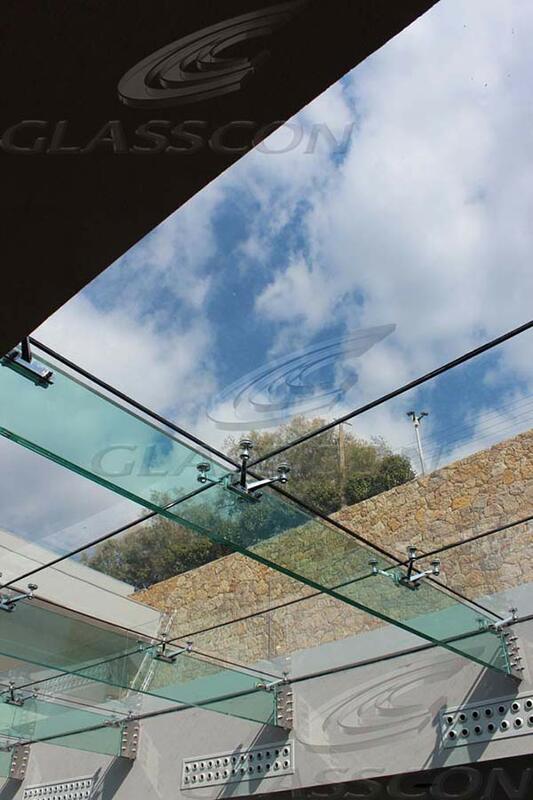 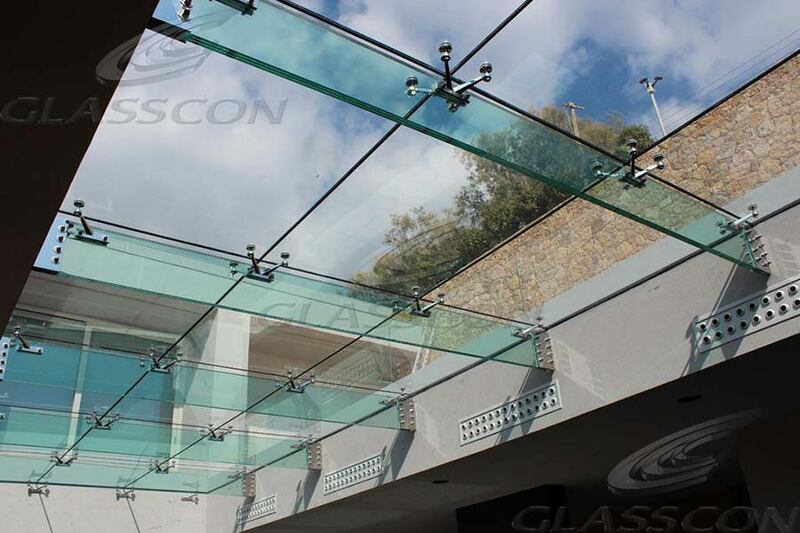 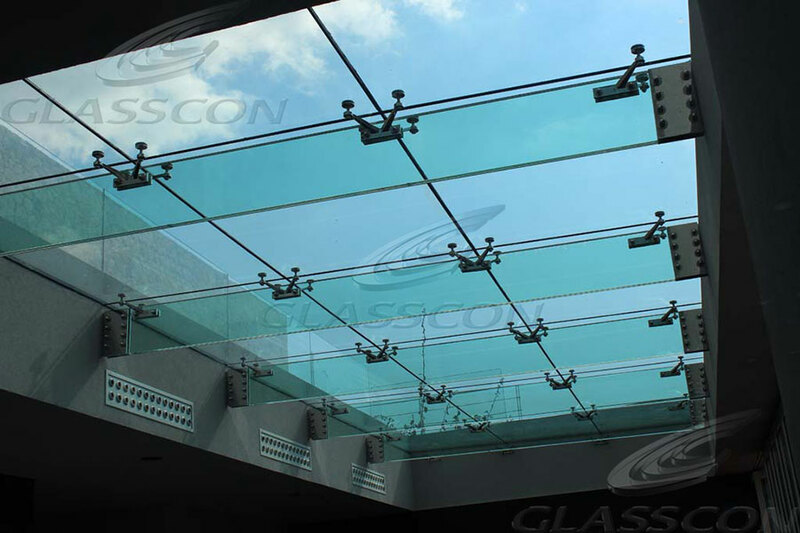 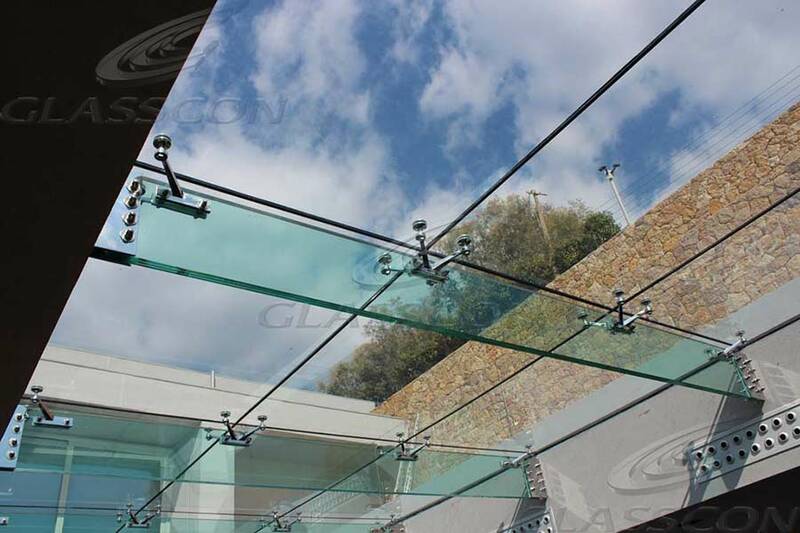 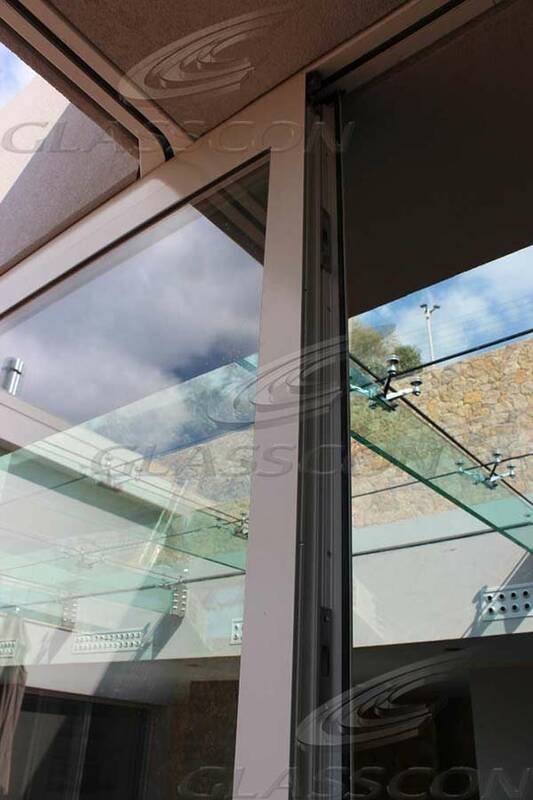 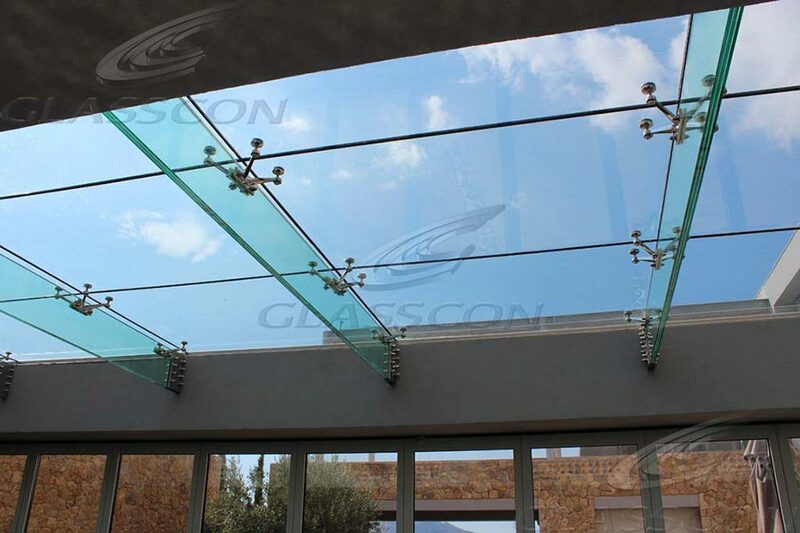 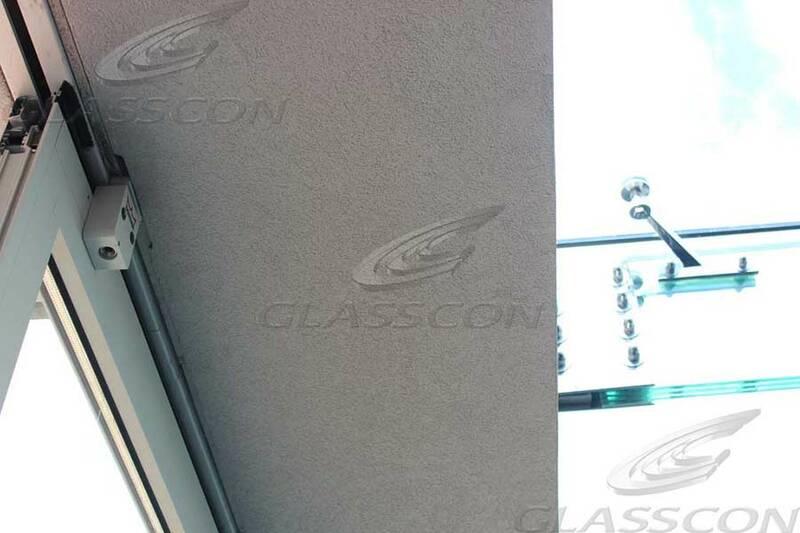 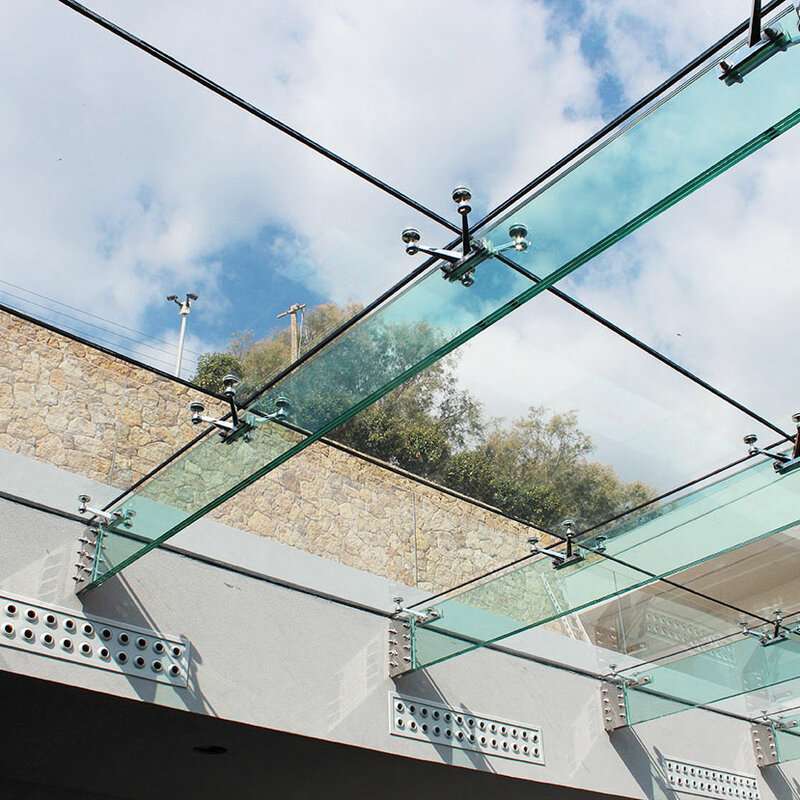 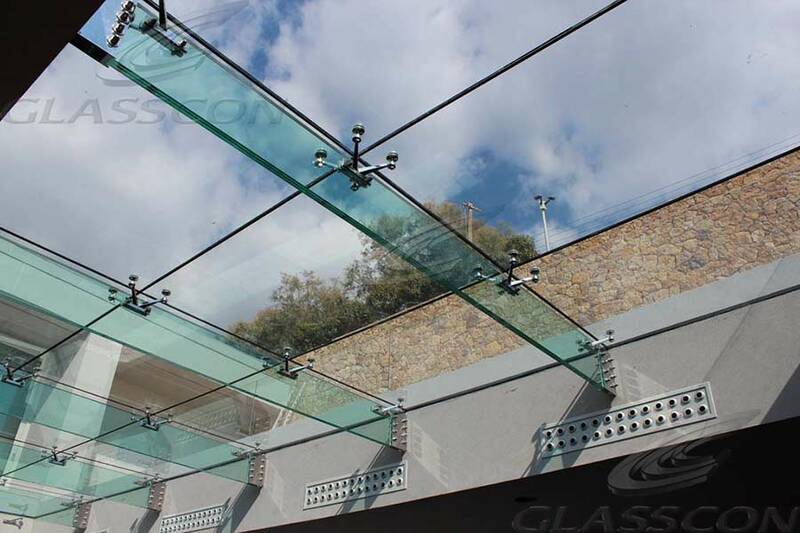 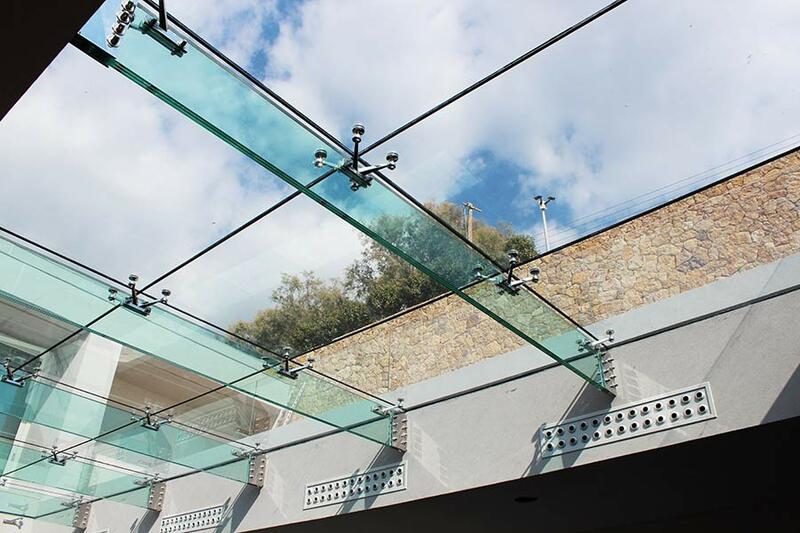 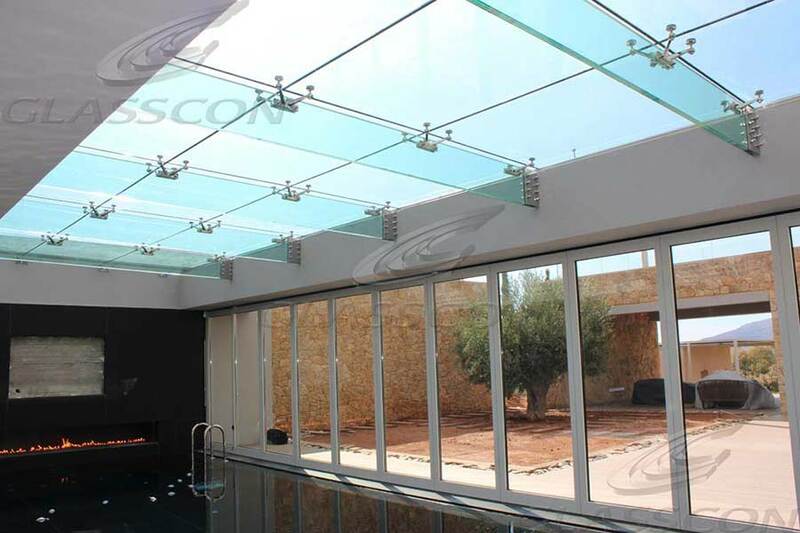 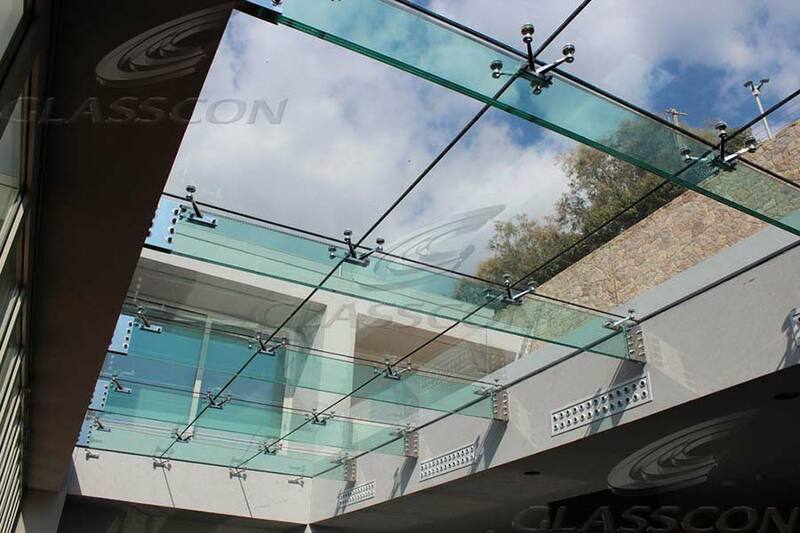 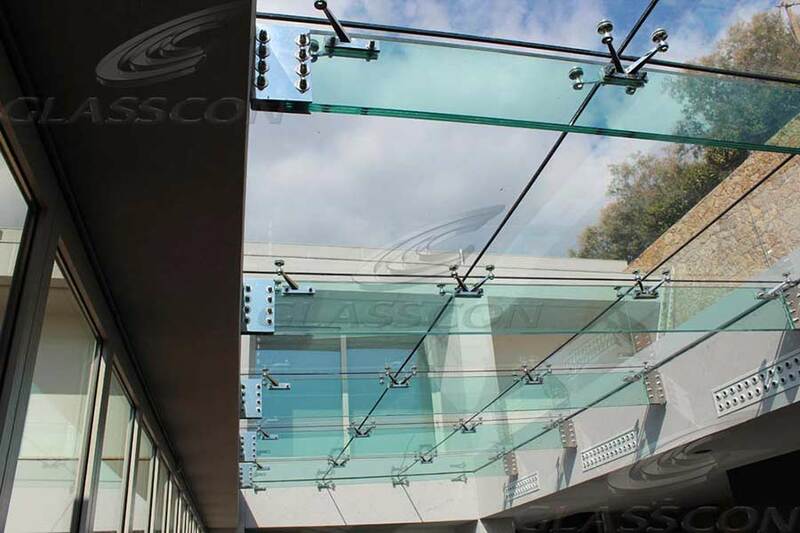 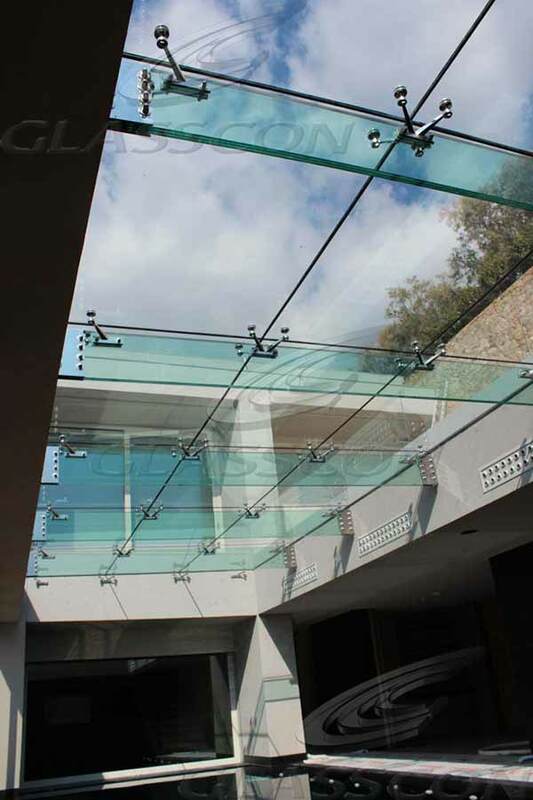 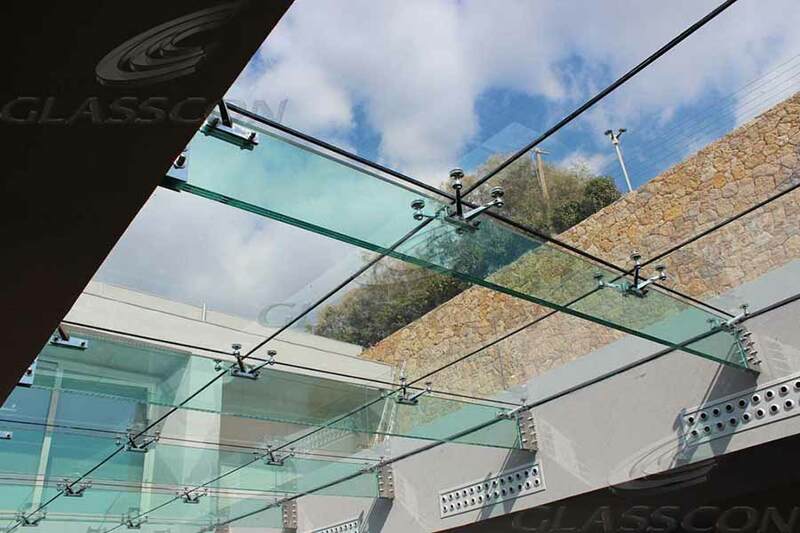 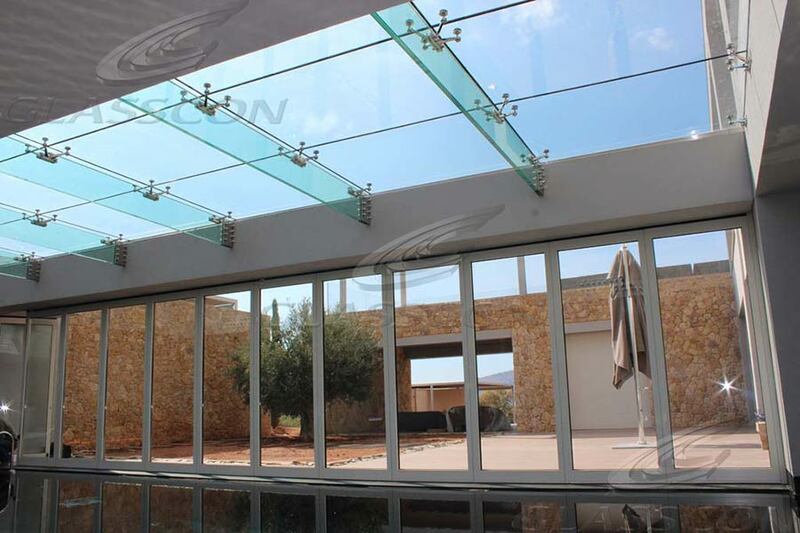 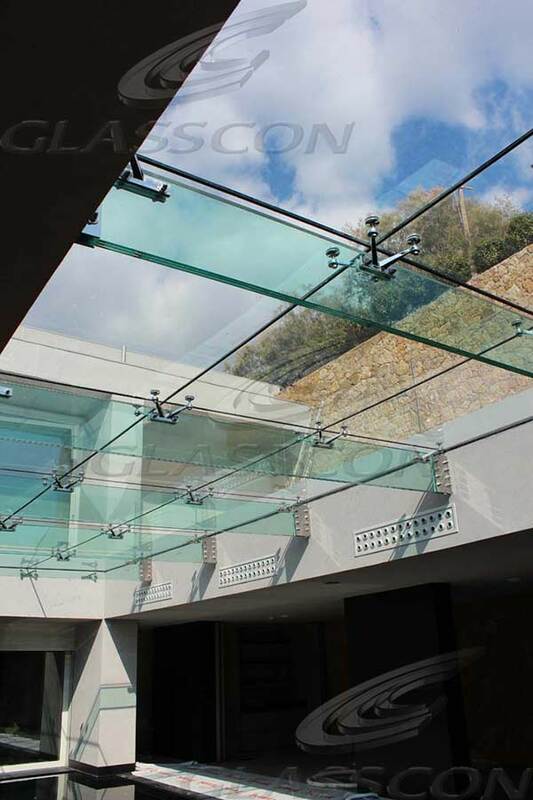 GLASSCON designed and constructed a high-tech glass roof with glass beams and point fixed stainless steel fittings in a private residence.GLASSCON has also installed the folding glass door system.The fully transparent glass roof is ca. 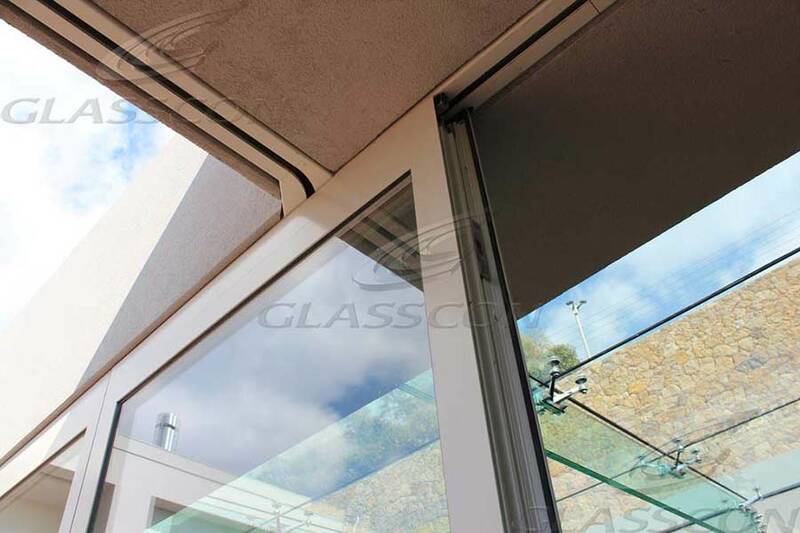 85sqm and meets the expectations of the architect in a very demanding project. 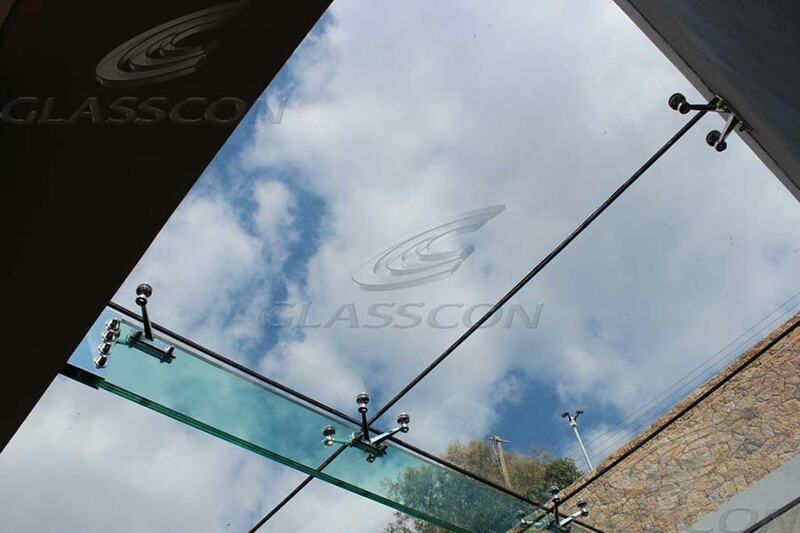 GLASSCON designed & implemented an almost 100% FULL suspended STRUCTURAL GLASS roof/canopy/skylight on horizontal GLASS FINS/BEAMS above a swimming pool with movable folding glass doors. 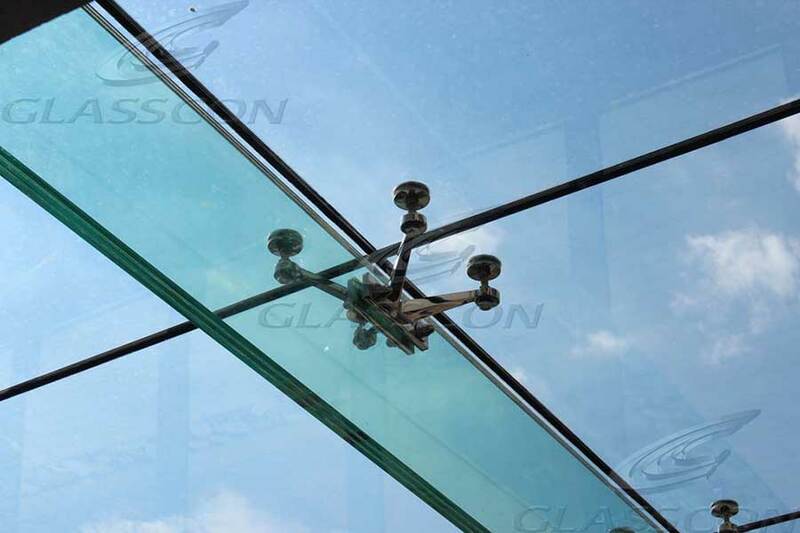 The glass roof is supported on stainless steel fittings (BOLTED GLAZING) and is made from tempered laminated solar glass panels.